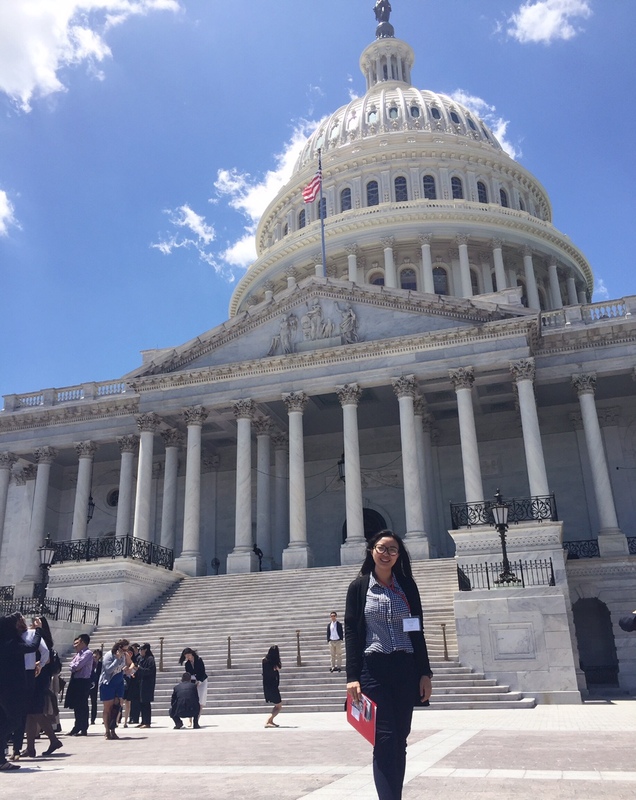 School of Public Affairs graduate Jiaqi Li (MPA ’17) was selected to attend the 2017 U.S. Foreign Policy Colloquium held by the National Committee on U.S-China Relations in Washington, D.C. earlier in June. During her trip, she met and spoke with Chinese Ambassador, Cui Tiankai, visited with staff at the Chinese Embassy, Capitol Hill and the International Rescue Committee Office, attended lectures by former Ambassador, John Negroponte, and China Scholar and economist, Pieter Bottelier, and went to a keynote speech by Wendy Sherman, Undersecretary of State for Political Affairs. Career Services Manager Maryjo Douglas Zunk and Associate Director Shawn Novak helped Li with the opportunity. “Through this great program I know more about U.S. foreign policy making," she said. "I also got to meet many brilliant students and scholars who are interested in public service and policy. Thanks NCUSCR and ASU School of Public Affairs for providing the great opportunity."